Fundraiser by Ashleigh Needs : Perth Family Needs Our Help! Perth Family Needs Our Help! Hi, I am Ashleigh and I've set up this go fund me account to support my best friend and her siblings whose lives have been turned upside down. In one night two months ago, my best friend’s life changed forever; Tenille and her six siblings lost their Mum, Shelley, in a shocking tragedy. Shelley was the much loved single Mum of Chantelle 30, Ebony 24, Tenille 22, Shannon 20, Reef 17, Indigo 13 and Kane 12. 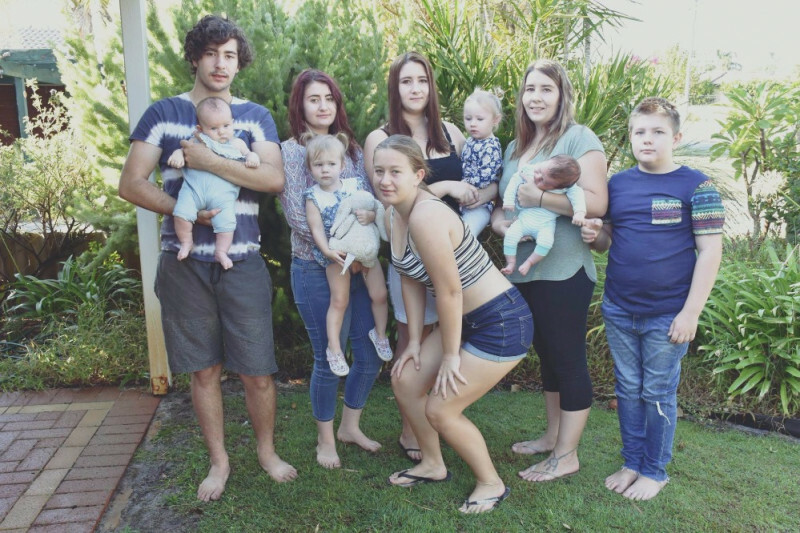 Tenille's youngest four siblings were still living at home with their Mum in Bunbury, but immediately began living with Tenille and her fiancé Chris in their Perth rental. Tenille and Chris, with the support of family, have selflessly made the decision to assume the care of her three youngest siblings Reef, Indigo and Kane, while also providing a home for Shannon and her partner. Tenille was one week away from having her second child when the tragedy happened. As if having a new born and toddler while mourning the loss of your own mother is not challenging enough, at 22 years old Tenille is now adjusting to being the carer of her siblings too. Her concerns have not been of herself at all during this time, only of her children and siblings and their futures. Friends and extended family have been instrumental in providing emotional support for the family since the passing of their Mum, but I am now reaching out to the wider community in hopes that together we can raise money to assist Tenille, Chris and the family in adjusting to their new life as a family of seven and a house hold of nine! We would be most grateful for any and all donations, big or small. The goal of $20000 would go towards helping Tenille and Chris pay for schooling, counselling, medical and dental needs and also towards the purchase of a family car that is big enough to fit them all (as soon as possible), . Although she had not planned on caring for her siblings, in the situation she found herself in, Tenille, with Chris’ support, would not have had it any other way. She is honestly the most selfless, courageous and hardworking person I know. After grieving the loss of their uncle who was murdered three years ago, to losing their Mum in March, I could not think of a family more deserving of some financial support. No words will explain how much each contribution is appreciated, thank you for the love and support.